Retirement is an interesting experience in the chain of life. It's something to which people look forward for many years, but when retirement comes, the expectation and the reality are often miles apart. Thankfully, my husband and I have had an utterly fulfilling retirement. Both the homes we have lived in have been large enough to have our "own space". He has spent his days in research and writing, and supervising students as they go through the process of writing their theses... and I have been designing and stitching! But while it is important to have our own separate interests, we have discovered it is essential that we have a leisure activity that appeals to both of us. We love being involved together in our local Church, but that is an essential part of who we are as Christians and not something we do as a hobby. 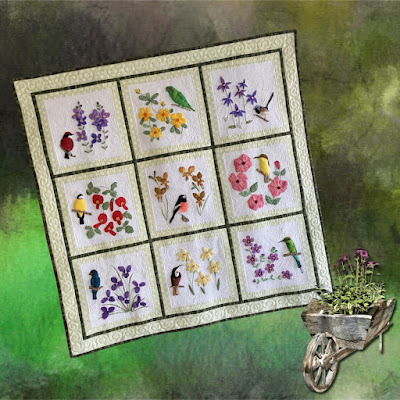 We are ever thankful for the friend who introduced us to the delightful hobby of bird-watching and the Bird Club friends who taught us so much. We have learned together how to use binoculars, how to take in all at once, the size, shape, colour, flight pattern, bill length, tail size and call of that aerial creature that flies past our nose. Bird-watching is our connecting point - what we do together, what we talk about after our morning walk, what we do when we go on holidays. Why am I reflecting on retirement? 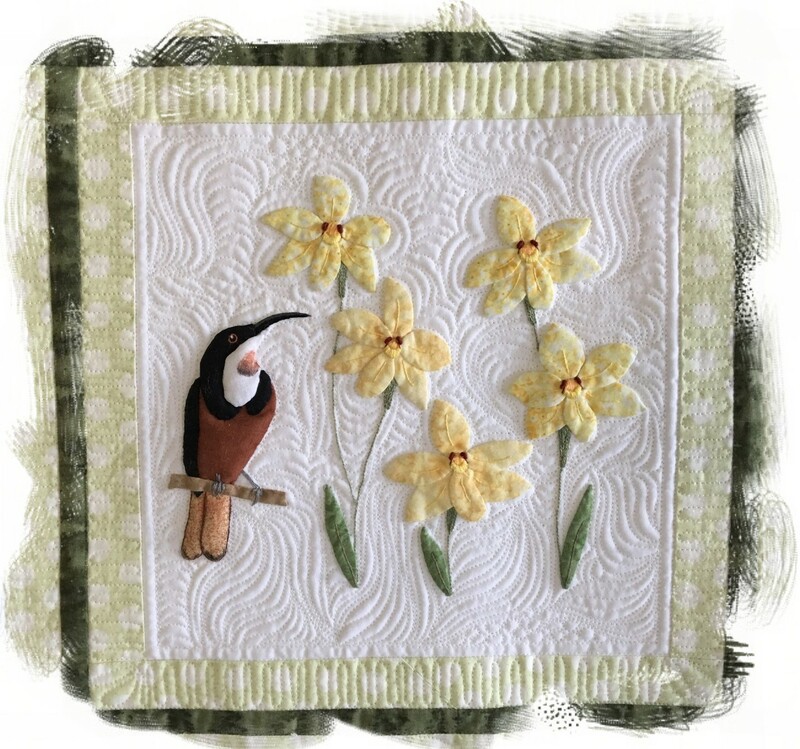 Because the quilt photos interspersed in this post are a result of the joy and fulfilment we have had in retirement in walking thousands of steps through the Australian bush, binoculars and camera in hand, with the eager anticipation of spotting another beautiful bird. 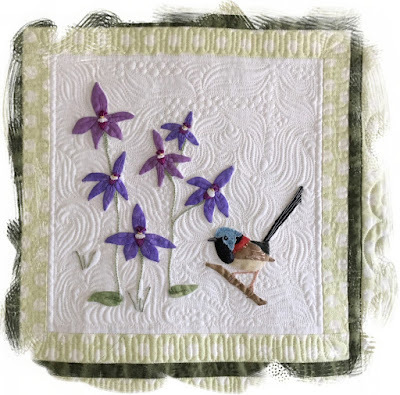 "Beauty in the Bush" quilt celebrates some of the wonderful treasures of the Australian bush where beautiful wildflowers and colourful birds abound. 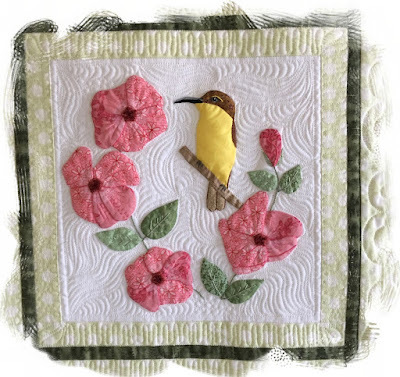 I have used appliqué (lots of it! ), embroidery stitches and pencils to display some of the beauty and intricacy of these treasures. 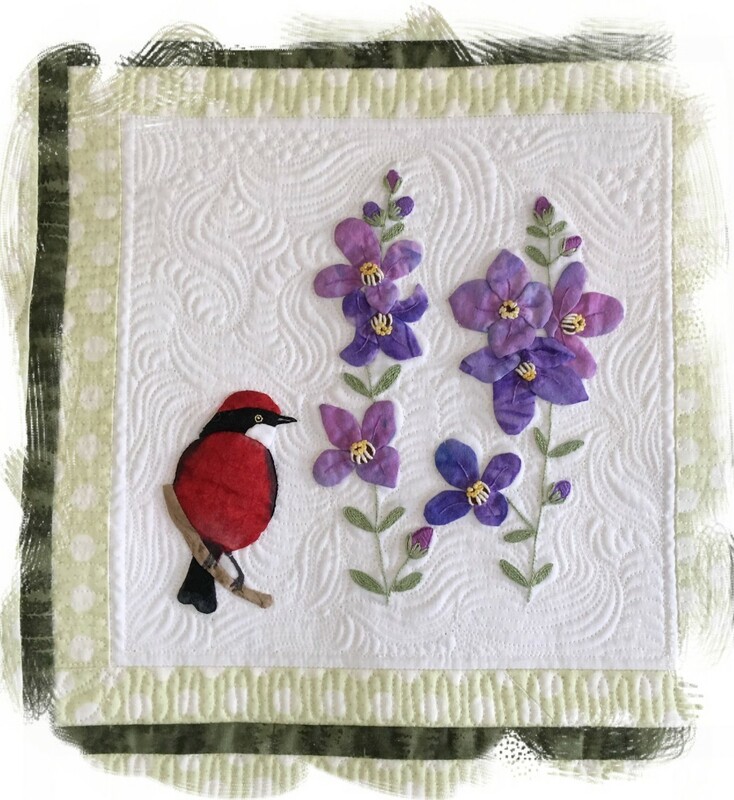 "Beauty in the Bush" measures 105.5cm (41½in) square and the pattern is now available in my Craftsy Store here. The pattern includes more than 60 pages of very detailed instructions and photos. 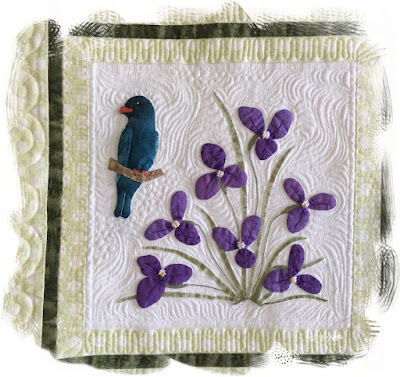 It's not a quilt to rush - it's a work on which to enjoy the journey, to savor every moment and to revel in the intricate beauty of our world. That is amazing and incredibly stunning, Val!!! What a treasure. 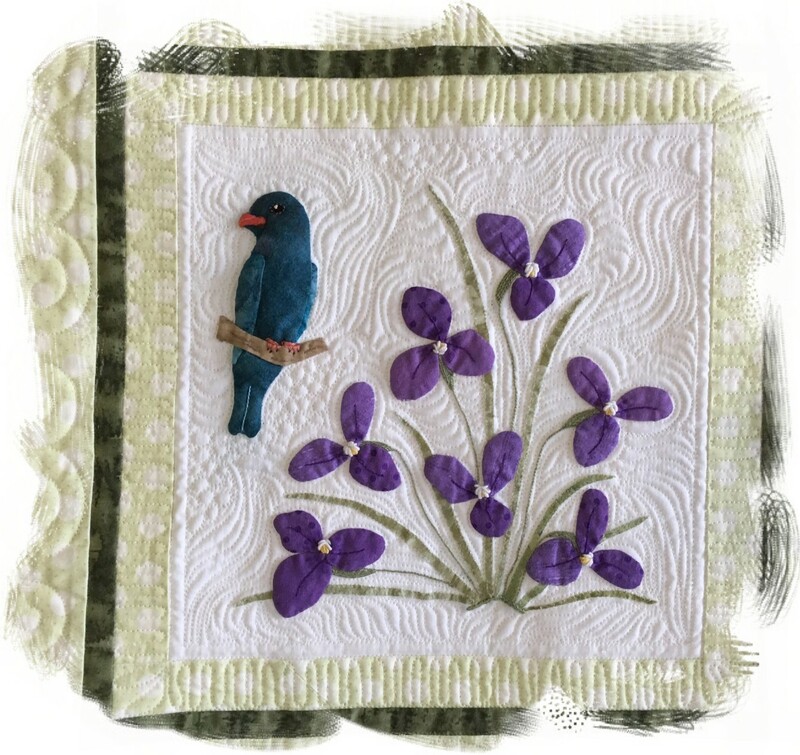 It looks like you did needleturn applique, would it be suitable for fusible? So good that you share a hobby with your husband! How lovely, Val. Since signing up for the Backyard Bird Watch each year I have been taking more notice of the birds in our area. There are certainly some beautiful birds God has created. Those blocks are beautiful and your post comes at a good time for me. Retirement is definitely not what I thought it would be, even though I love not going to work everyday. I have gained weight and become a recluse... I hope to change that soon, as I join a fitness program at the local hospital. I'm praying for new friends and better health ahead. Love your bird quilt. 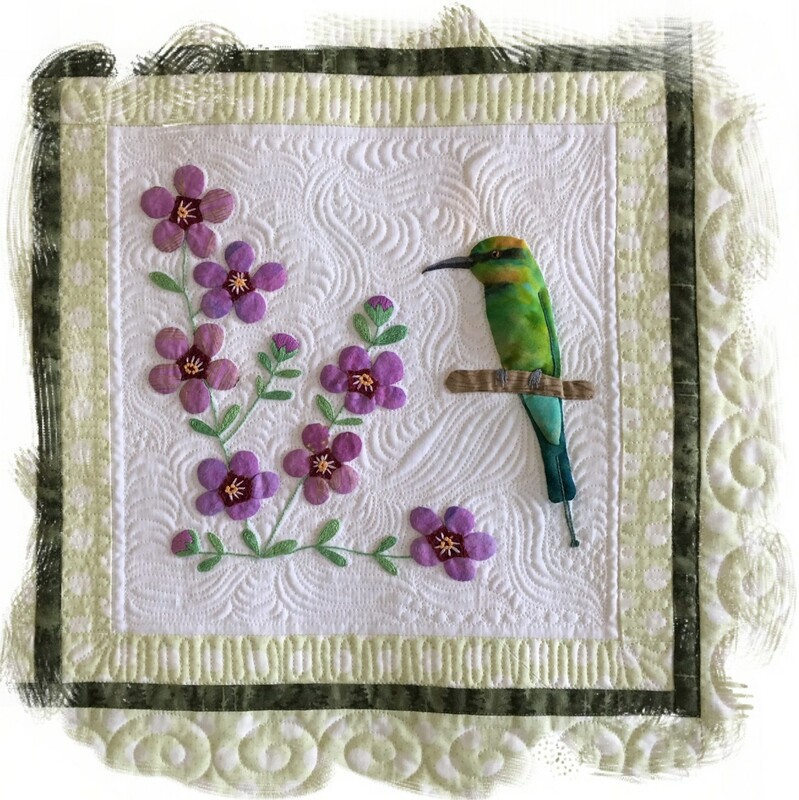 Great birds and flowers. 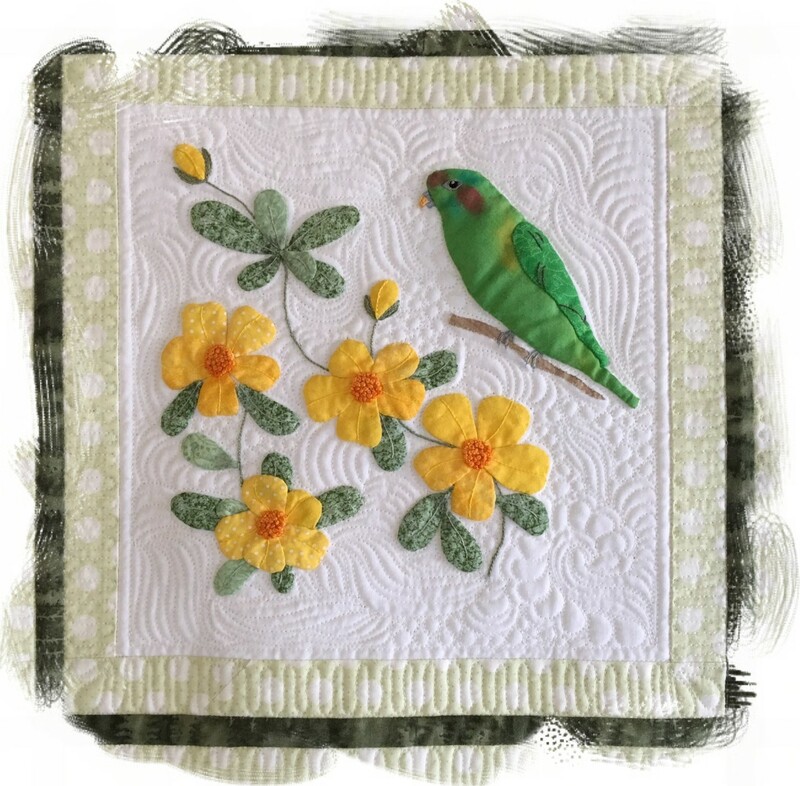 Fabulous quilting! My goodness.. the quilt design is beautiful. When I finally retired my hubby and I enjoyed days spent together as well as apart in the same home. Glad you have that sameness with your hubby. So very, very pretty! You are so talented. Your work is absolutely gorgeous! 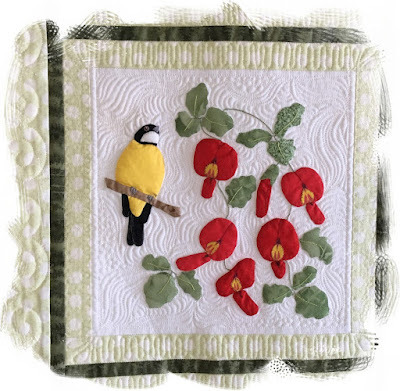 Beautiful quilt, Val! Great reflections on retirement! I have retired, but my hubby has not yet. I am sure when he does, we will have similar interests to enjoy together. It sounds as though you and your DH have a great retirement life! Thanks for sharing! I DO like it! No, I LOVE it! I have been a birder for many years, and often joke that I can only talk about two things, birds and quilts! Well done, and welcome to birding! Absolutely stunning quilt Val. 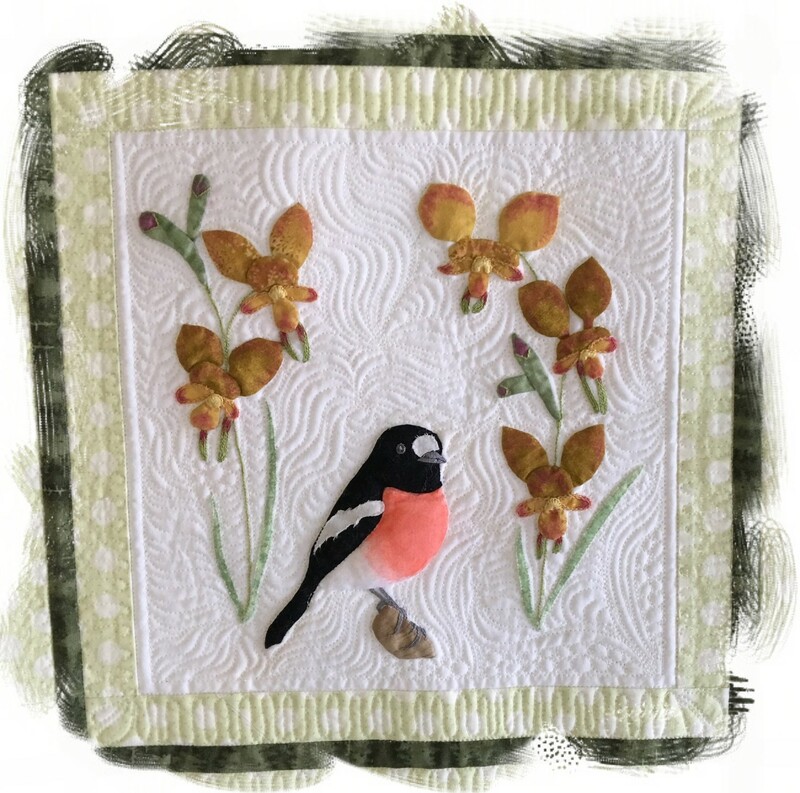 I may have attempted this a few years ago but now that arthritis has slowed my hands down, I can't do the fine stitching needed for applique and other embroidery any more.. Your comments regarding retirement resonated with me. I retired 10 years before my husband did, and my friends said "he will drive you mad when he is home all day!" Quite the opposite in fact. He was a bus driver for 10 years, then a courier, and had so many near misses on the road, that it was a huge relief for me to have him home with me every day, instead of worrying all day that he might not come home at all. I have a lot of my own hobbies, but he is happy to see me enjoying all my crafts, as he is now unable to do much himself. We do share a love of birds, and spend a lot of time in our aviaries, and with the 10 chickens in their run.